The weather is set to be dull today as forecasters predict rain and strong winds throughout the day. 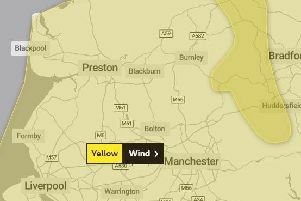 A Met Office yellow weather warning for wind is in place for Blackpool until 1pm today. This morning will see sunny spells and cloud. The temperature will reach its peak of 8C by 12pm. 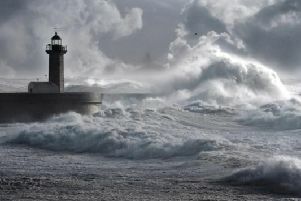 It will be very blustery, with winds of up to 51mph. This afternoon will be cloudy, but dry. The temperature will remain at 8C throughout. This evening will be dry until heavy rain hits from 9pm onwards. The temperature will be 8C throughout the evening. Overnight temperature of 7C. Tomorrow will be cloudy throughout most of the day, with some small periods of sunny spells. Maximum temperature of 9C. The Met Office UK outlook for Monday 18 March to Wednesday 27 March said: “Dry for many on Monday with only isolated showers. Rain and strengthening winds reach the northwest by Tuesday, then spread to other northern and some central areas.